In the previous article (https://www.sviluppomania.com/en/git/) we dealt with the basics of Git but we did nothing but initialize a local repository and create our first commit. Now we have to proceed with the development and we have to keep track of the versions as the bugs are fixed. Today we see how the branches can help us. 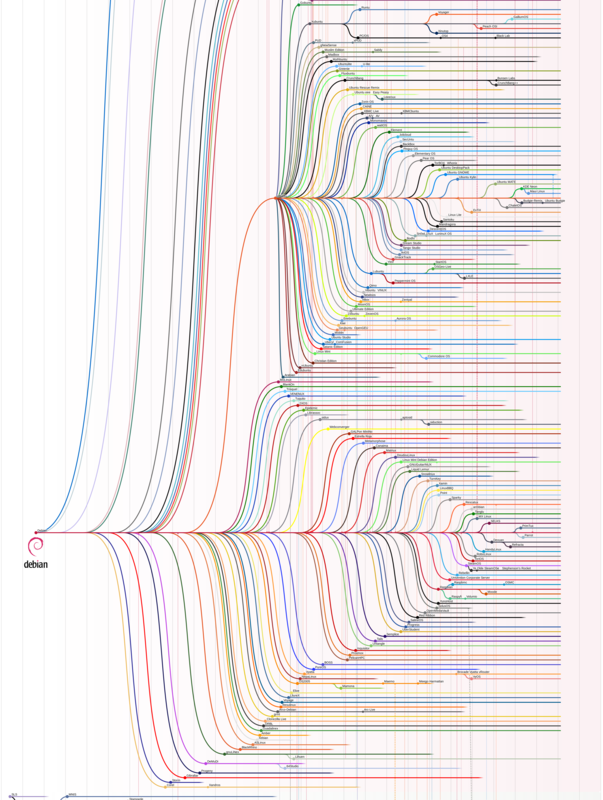 In the previous article we noticed that the commits are made on a timeline called “master”. 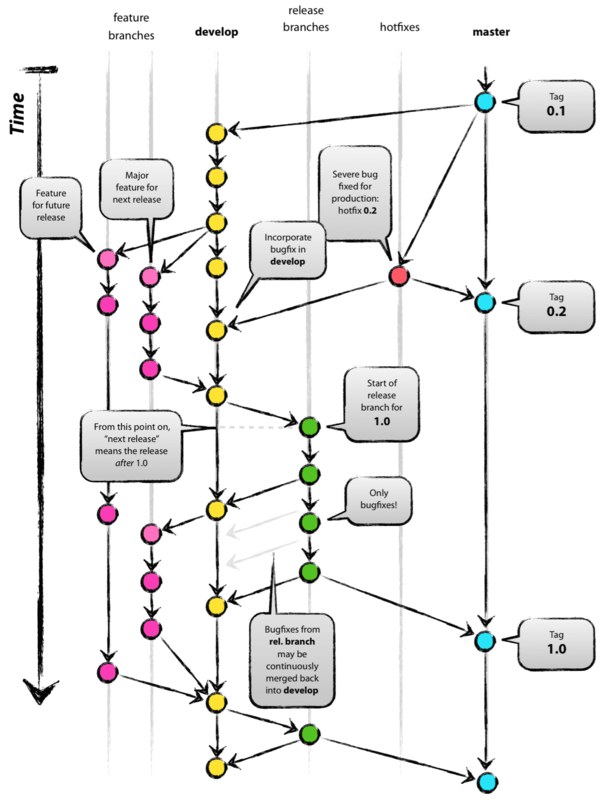 This is the famous “time line” that allows us to return to the past should a critical bug appear. But suppose the project is very big: we can not afford to submit all commits in a single time line. It would be more appropriate to separate the workspaces for each sector of the project (front end, back end etc.) and to submit commit on separate lines leaving the original line intact. Good Git allows us and these lines are called Branches. Depending on the type of project the project manager can decide how to separate the sectors and how to organize the branches, I propose a model that in any case it is always useful to use. This image clearly shows the power and usefulness of the branches. As we already know, the first commit of the project is done on the master branch (by default). Now that we have a commit on the master and we want to continue developing, we need to create a branch on which to make changes to the next versions, typically called development. Created development we can move on it. The next commits will then be recorded on this branch. But even this last branch works the same way as a master. From this we can create other branches, perhaps to implement new features without affecting the current project, and apply a new set of commits. When the feature is ready we can combine it with the development branch. Now we actually see how to create branches. For those wishing to avoid using the terminal further on I explain how to do for those who use GitKraken. Which takes care of creating and automatically selecting development as an active branch. GitKraken provides convenient tools for these operations, just click the right button on the branch from which we want to create a new bifurcation and click on “Create branch here”. To move between the branches just select them from the menu at the top of the interface. Do not worry if it seems like a whole new concept, in the next article I will gather the typically most used commands for any type of project so that you can consult it. I’ll show you one last thing before leaving you. The linux operating systems are very numerous. While for Windows and MacOS we can only choose the current version, linux offers us a wide range of different operating systems, but all based on the same kernel. Why do I tell you this? Because every Linux distribution is a branch! This is only a small part of the existing distributions, but as you can see, many bifurcations have been created from Debian, each of which has the same functionality as Debian, but can implement new features that are not found in Debian. Among the most famous Debian distros is Ubuntu. In turn, Ubuntu underwent bifurcations to create distros like Kubuntu, Xubuntu, Edubuntu, Lubuntu and so on. For today we have finished, share if you found it useful! Here SviluppoMania, step and close.